Panera Bread, established in 1981, is an American chain of bakery-café fast-casual restaurants. They currently employ more than 47,000 people and have more than 2,000 stores across Canada and the US. 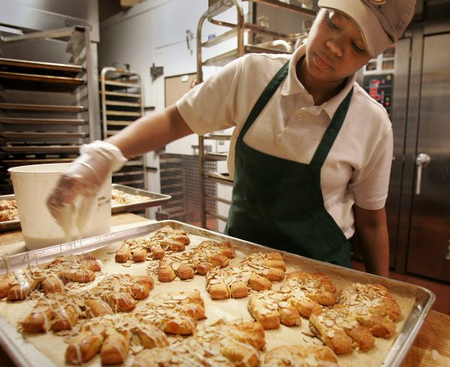 Panera Bread is packed with opportunities for progress and development since they offer both full-time and part-time jobs. CATERING COORDINATOR - The catering coordinator delivers large on-site breakfast and lunch orders to local businesses with the help of associate teams. Duties encompass advertising sales and production of catered meals as well as delivery, set-up, and preparation. Candidates must own personal vehicles, hold perfect driving records, maintain neat appearances, provide organization and clear communication, and embody positive attitudes.